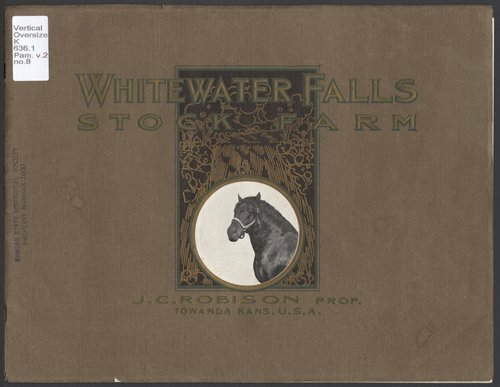 This illustrated souvenir documents the Whitewater Falls Stock Farm in Towanda, Butler County, Kansas. Founder J. W. Robinson purchased the land in 1879 and bought his first stock in 1884. The souvenir claims that the Whitewater Falls Farm was the leading breeder of Percheron draft horses in America at that time.